All our professionals at Mason Family Dentistry maintain the highest levels of accreditation and pursue ongoing education to stay abreast of the latest trends in dentistry. Dr. Mason received his Bachelor of Arts in combined science from the University of Tennessee at Chattanooga. 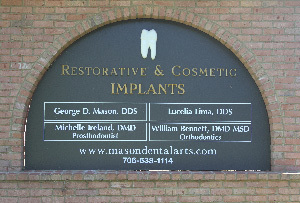 He obtained his Doctor of Dental Surgery Degree from Emory University, after graduation, Dr. Mason promptly opened his dental practice in LaFayette, where he has practiced for the past 30 years in the same location. In 2001, he built a new 4500 square feet dental office and now has three associates, including an Orthodontist and a Prosthodontist to help meet the needs of the growing practice. 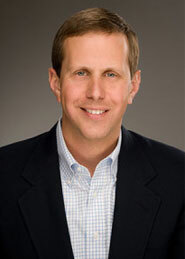 Dr. Mason holds memberships in the American Dental Association, Northwest Dental Association, and Georgia Dental Association where he chairs the peer review committee for Northwest Georgia. 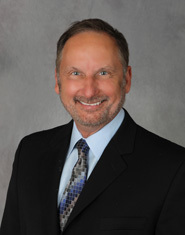 He also is a member of the International College of Dentist, Pierre Fauchard Academy, and the Hinman Dental Society. He regularly attends continuing education seminars and symposiums. He enjoys racketball, cycling, and motorcycling. 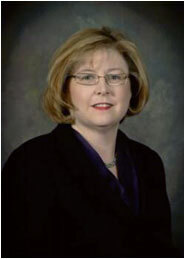 Certified in Fixed and Removable Prosthodontics, Dr. Michelle Ireland received her DMD dental degree in 1994 and her certificate in Prosthodontics in 1996 from UAB School of Dentistry. Dr. Ireland has maintained a private practice in Chattanooga, Tennessee since 1996 and has been an Adjunct Faculty Member at UAB School of Dentistry since 1999. Dr. Ireland continues to be active in her specialty through continuing education and through giving and attending lectures in the field of Prosthodontics. In her spare time she and her husband, David, enjoy spending time with their two children Jonathon and Katie. Dr. Bennett has a long history of hard work in school and on his family’s farm that prepared him well for this position. He was raised in Screven, a small town in Southeast Georgia. He is the youngest of five children and now has 15 nieces and nephews. His professional education began at the University of Georgia, where he earned his pharmacy degree in 1999. He worked for a few years as a pharmacist for the Indian Health Service in the Western US and Alaska – Ask him about this experience for plenty of great stories! He returned to Georgia to complete his education in both medicine (M.D.) and dentistry (D.M.D.) at the Medical College of Georgia. While finishing dental school he discovered his love for orthodontics and continued to earn his certificate in orthodontics and M.S.D. at the University of Colorado. Dr. Lucelia Lima was born in Brazil and moved to the U.S. in 1992. She earned a B.A. Degree from Southern Adventist University (SAU) in International Studies (Spanish Emphasis) and a Doctorate of Dental Surgery from Loma Linda University in California.Loma Linda is the #1 dental school in the country for clinical. An average of 750 patients per day is seen at the dental school. Dr. Lima was the #1 student dentist in a clinic in a class of 89 students. During the time Dr. Lima was in dental school a patient survey was taken and 94% of patients agreed that their student dentist was caring, honest, polite, cheerful, and sought to produce excellent dental work. Dr. Lima was taught to produce quality work and learned to do the best for each patient.After dental school, Dr. Lima moved back to the Southeast and has been practicing since 2004. 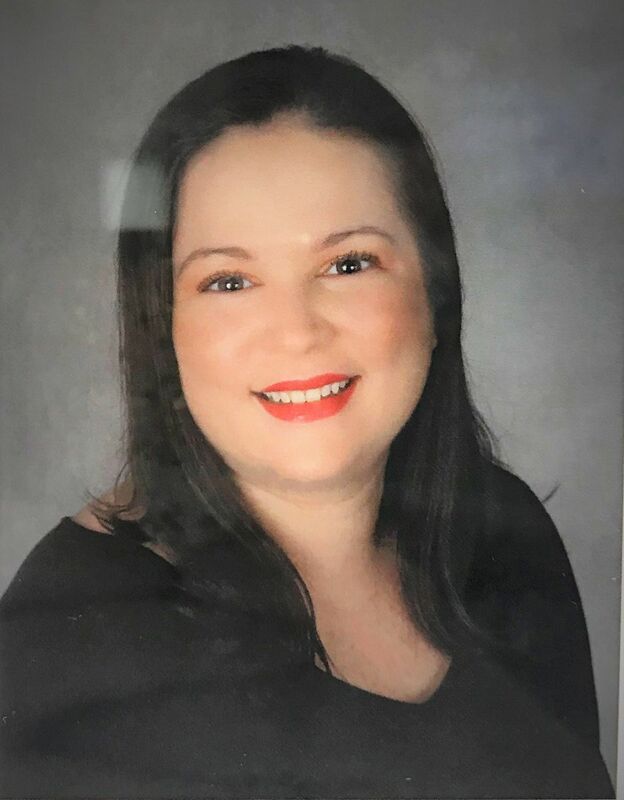 She enjoys treating patients of all ages and cultural backgrounds and is fluent in English, Portuguese and Spanish.Dr. Lima has been recognized as America's Top Dentist in 2009 and again 2012.She also likes traveling, bicycling, knee boarding, skiing, volleyball and a variety of indoor and outdoor activities. Her favorite spot in Chattanooga is the Walking Bridge, downtown.Most importantly, Dr. Lima is a committed Christian with high moral and ethical values. She treats her career as a ministry more than a job. She strives to not only give her patients a great smile but also give patients a reason to smile.